For Q1 I was pretty conservative with my goals, but this quarter I really want to push myself. 1. This might be impossible, but I would like to finish my Maple Leaf Rag quilt. I am LOVING hand quilting it, but I have carpal tunnel in my hand and don't want to injure myself so I'm trying to take it slow. But I can't wait to finish this one up so I can use it. This pattern is from Sarah Fielke's book Material Obsession 2. 2. Over the weekend I started a new quilt after seeing Amanda's posts on Instagram (are you on Instagram? my username is ericajackman). It is the Bangles quilt from Sarah Fielke's amazing new book. 3. I don't have a photo because this project is way hiding in the back of my closet, but a few months ago I started a simple patchwork square quilt for our bed. Originally I was just going to use Lotta Jansdotter's Echo and Bella, but when I found out that Glimma would be coming out soon I put the project on hold. I have already preordered a bundle of Glimma so once that gets here I can finish this one up. 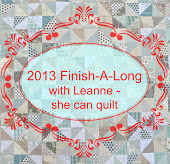 Linking up to She Can Quilt's Finish-a-long. The handquilting is looking fantastic Erica! Good luck on your list! Awesome hand quilting! You'll do well! The quilting is looking really good. 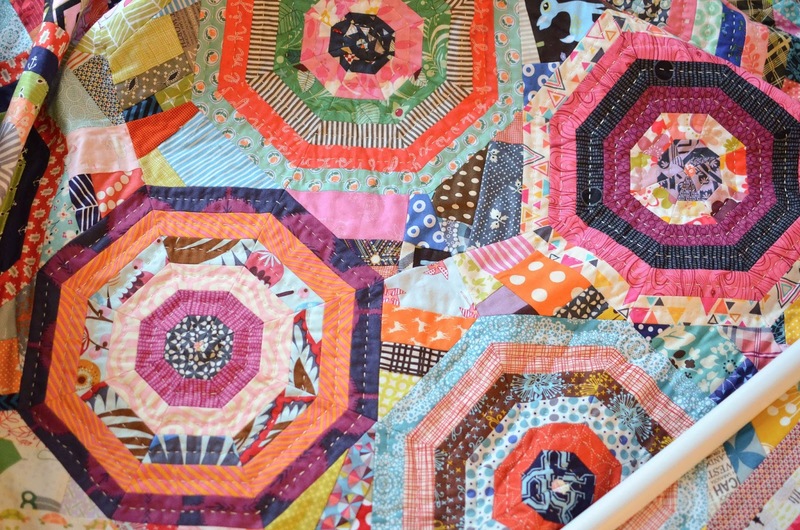 Great goals - I can't wait to see your Lotta Jansdotter quilt - it sounds wonderful! Love those bangles! Your colour choices are perfect! Can't wait to see more of it. Thanks for posting the book source. I love your Maple Leaf Rag quilt! Wonderful job. It is hard to give away a project like that! Ever thought about doing a quilt show? These look great. I especially love that Bangles quilt--it does look like an armful of bracelets! P.S. Added you to my Bloglovin' list! 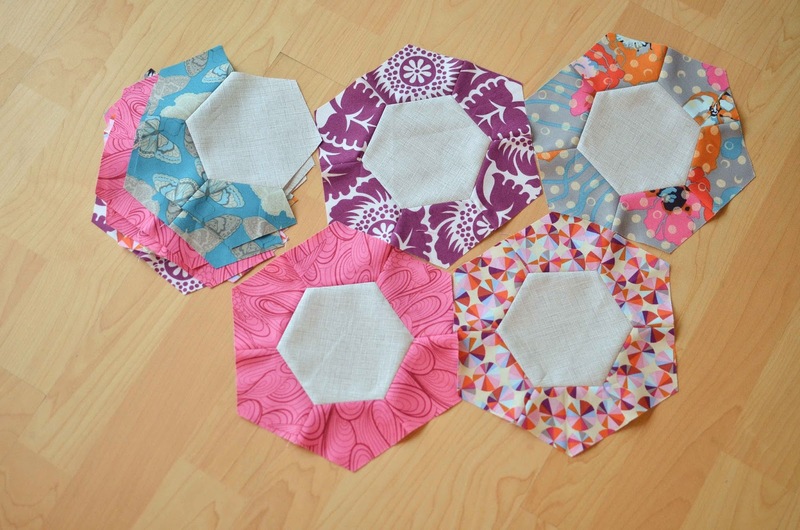 Oh, I can see how those paths on the maple leaf quilt would be such a delight to hand quilt. Wish I could come over and join in!